Of course, any list of memorably Ford concepts would be incomplete without the Ford GT90: “the world’s mightiest supercar.” Designed (and named) after the iconic GT40 that earned the automaker its first Le Mans win, the GT90 was powered by a quad-turbo V12 displacing 6.0 liters, capable of a claimed 720 horsepower. Ford said that was good for a 253 mph top speed. An interesting side note: the Ford GT90 shared some components with the Jaguar XJ220 supercar. We guess owning the British luxury marque came in handy after all. Inspired by… well, we all know what this concept was inspired by: Tonka-brand toy trucks. 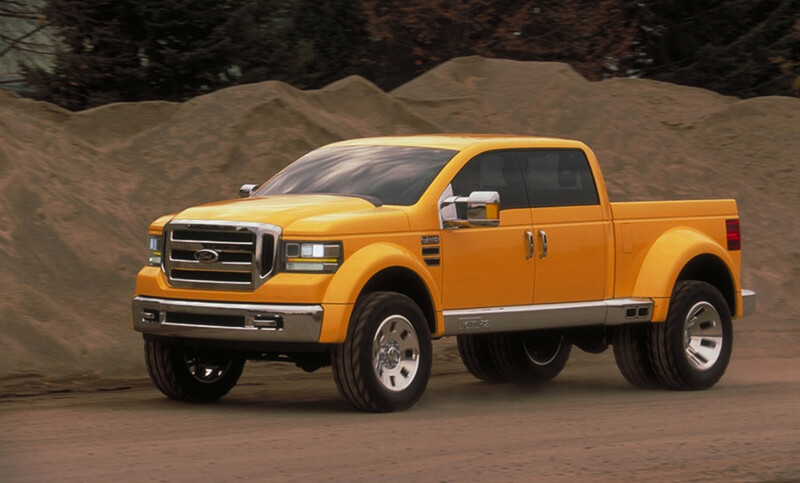 This Ford F-350 concept wore the same iconic yellow shade as those toys, with plenty of brilliant chrome to boot. We’re sure its presence at the 2002 Detroit Auto Show inflicted undue bouts of nostalgia on a whole slew of unsuspecting showgoers. But even more interesting than the looks was the powertrain. This Ford Super Duty concept made use of a twin-turbo, 6.0-liter Power Stroke diesel, coupled with a curious Hydraulic Launch Assist system. In essence, the HLA system would recover energy lost during braking, store it as hydraulic pressure, and then unleash said hydraulic pressure through the driveshaft the next time the truck set off. Such was Ford’s aversion to electric motors in 2002, we guess. 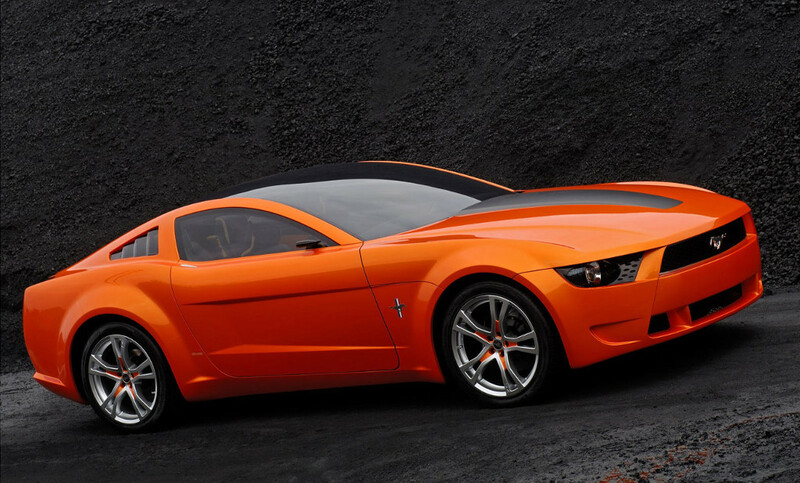 Expertly penned by Italian design and engineering firm Italdesign Giugiaro, the Ford Mustang by Giugiaro concept was the designer sport coat of Ford Mustangs; it’s what you might end up with if Alfa Romeo had ever built a pony car. It was based on the 2005 model-year car, which kicked off the new, fifth generation. The Giugiaro Mustang is a tad wider than the production version of the car, but compact and sleeker in most other dimensions – a truly European reimagining of an American classic. We wonder if anyone could have imagined that the Mustang would go on to be a sales sensation across Europe just a decade later. Designed after the iconic, luxury recreation trailers of Ohio company Airstream, the eye-catching Ford Airstream crossover was propelled by a plug-in hybrid hydrogen fuel cell powertrain. In plain English, electric motors drove the concept’s wheels, while an onboard, hydrogen-fueled generator recharged the lithium-ion battery pack as needed. While the Ford Airstream concept clearly had no hope of reaching production, AutoGuide credits the crossover with inspiring the production 2009 Ford Flex‘s boxy shape. Yes, the last concept car on AutoGuide‘s list happens to be one headed for production with few appreciable changes. 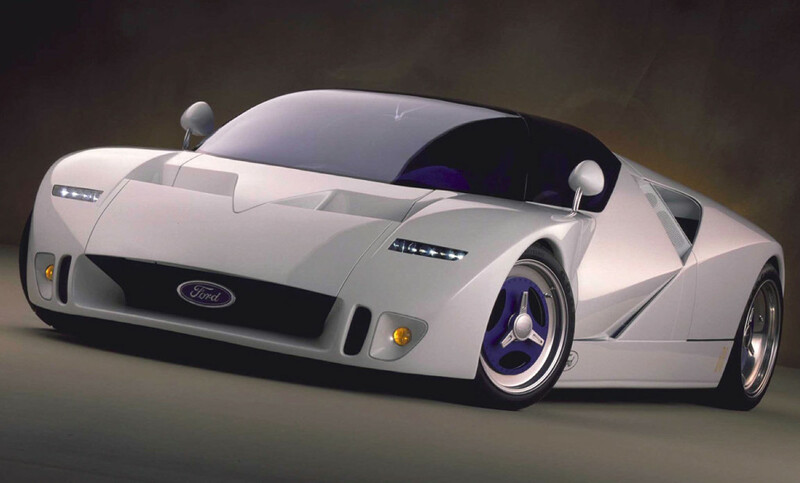 But after all, it’s earned its right to a spot by generating possibly the most anticipation and excitement of any Ford product, ever, as well as being objectively awesome. 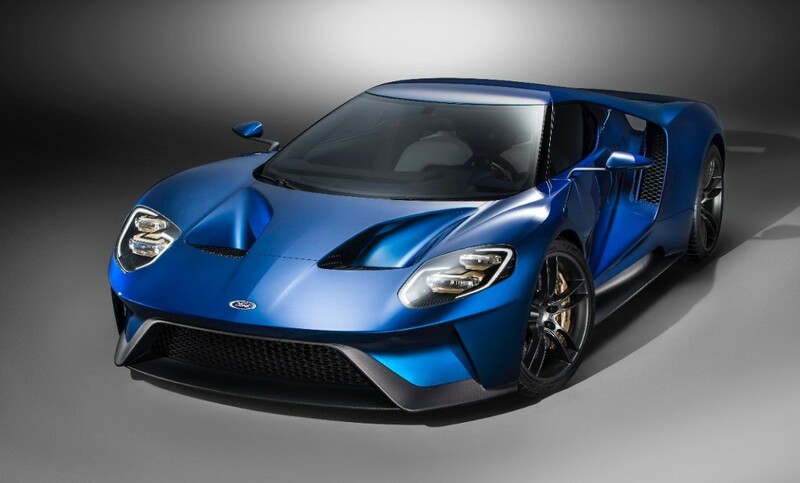 The new Ford GT concept burst onto the scene in January, 2015, shocking most enthusiasts with its twin-turbo V6 – an engine, interestingly enough, with half as many cylinders and half as many turbos as the earlier GT90 concept. That said, the production version should be good for more than 600 horsepower, and the new GT race car proved the powertrain’s value by winning Le Mans in the GTE-Pro class this year. It’s a car we’ll certainly never forget. 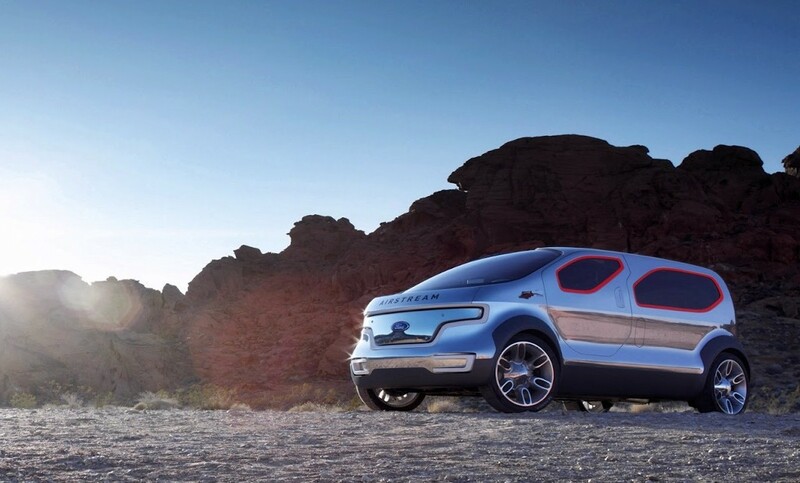 VW Tarok Concept Coming To Fight The Ford Ranger?